Shading systems are especially important in the summertime, when buildings, especially heavily insulated ones, may start to overheat due to solar gains through the glazing. Why? Highly insulating windows are usually installed with the intent to reduce heat loss throughout winter. Considering the fact that in the rooms exposed to direct sunlight the temperatures can increase because of glazing, one can quickly understand what the problem is. In rooms with already high temperatures, it can get even hotter because heat is coming through the glazing due to solar radiation. If you provide shading on the exterior side of the window, especially when the sun shines directly on it, you will prevent the heat from coming through the glazing, which will help to protect your house from overheating. 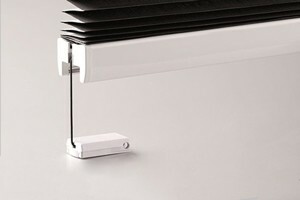 How to choose the most appropriate shading systems? 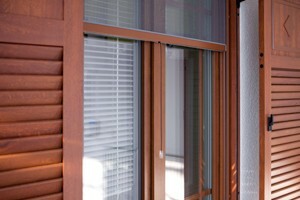 When choosing shading systems, first you have to consider whether you need them for a new building (windows are not installed yet), for renovation (the old windows will be replaced with new ones) or for the installation on existing windows, because this determines which mounting methods can be used for your building. Different types of shading systems can be installed above the window, on the exterior side of the window (under or over the façade), or on the interior side of the window (suitable for north-facing windows). Beside these important factors, you should also consider the appearance of the building and choose the appropriate color and material.